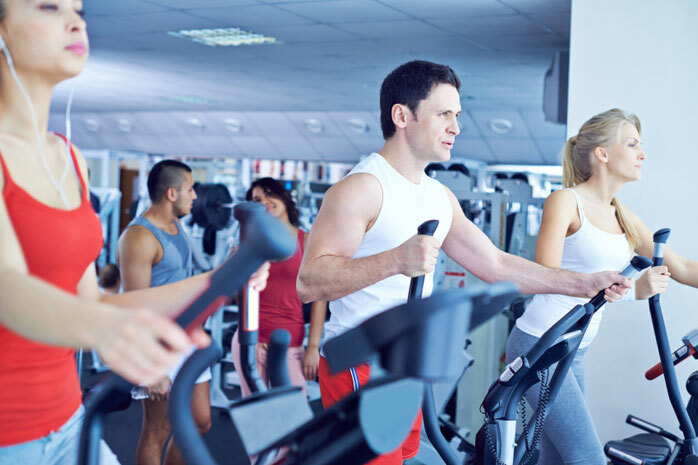 Experiencing muscle tightness after workout? Tight muscles are not only frustrating and painful, but can also limit movement. Worst of all, they can make it harder to stick to your exercise program. Knowing how to manage and prevent tight muscles will help keep you exercising. Muscles can tighten up for a number of reasons. Three times when muscle tightness can occur are during periods of prolonged inactivity, during exercise, and after exercise. So, what causes muscle tightness? During periods of prolonged inactivity, for example, long days and weeks working at a desk, working at a desk, some muscles can get tight as a result of their restricted movement. When you are seated at a desk, your hips are in a bent, or flexed, position. This puts the muscles on the front of the hip (hip flexors) in a shortened position, and the muscles on the back of the hip (glutes ) in a lengthened position. In addition, as you sit at a desk reaching forward to work on a computer, your chest muscles (pectorals) will be in a shortened position, while your upper back muscles (rhomboids) will be in a lengthened position. Over time, this can result in muscle imbalances with the shortened muscles becoming “tight” and the lengthened muscles becoming weak. If you look around you, you’ll notice many people have developed poor posture with forward rounded shoulders and underdeveloped glutes . The key to preventing this tightness due to decreased range of motion is three-fold. It is important to maintain proper posture, even while seated. You should also specifically strengthen those small muscles which have become lengthened and weak. Lastly, you should make sure to stretch the tightened muscles, specifically the chest and hip flexors. Another time when muscles tighten up is during exercise, for example, a muscle cramp. Cramps are unpleasant, often painful sensations caused by a variety of factors that include muscle fatigue, low sodium, or low potassium. 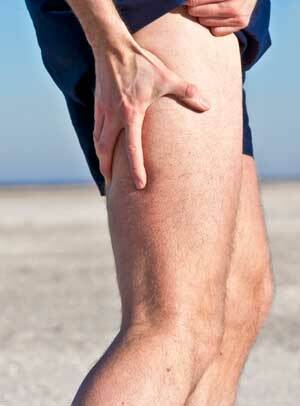 Muscle cramps can also happen even when you’re not exercising. When muscles contract, the muscle fibers shorten, increasing tension in the muscle. When the contraction is completed, the muscle fibers lengthen and decrease tension. During a muscle cramp, however, the muscle fibers remain shortened and are unable to lengthen due to fatigue or improper hydration and nutrition. Forcibly stretching the muscle when it is in such a tight, contracted form can tear the muscle fibers and lead to injury. Allow the muscle spasm to relax and recover before attempting to stretch out the cramp. In order to prevent these from occurring in the future, make sure to be properly hydrated, properly fed, and not overly fatigued when exercising. If engaging in exercise bouts lasting longer than 60 minutes, consuming an electrolyte replenishing drink may help prevent muscle cramps. Muscles can also tighten up following exercise. This is felt as muscle soreness. Delayed onset muscle soreness (or DOMS) can be felt as pain and stiffness in the muscles for 24 to 72 hours post-exercise. DOMS is most intense following exercises that focus on eccentric contractions where a weight is lowered or slowed. Examples of eccentric exercises include the downward phase of a bicep curl, or downhill running. The soreness and tightness felt is a result of small ruptures within the muscle. 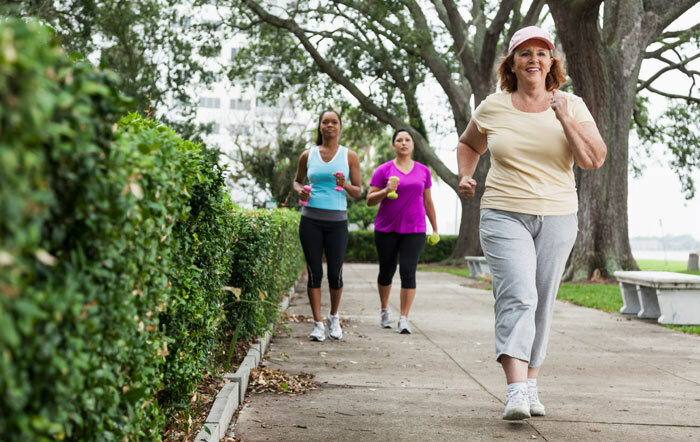 It can be prevented by gradually increasing the intensity of a new exercise program. While the soreness will usually disappear within 72 hours of onset, increased blood flow to the sore area, either by moderate intensity exercise or massage may help alleviate soreness. Stretching does not prevent soreness; however, it is still important to perform some static (holding) stretches after exercise to maintain or improve flexibility. Proper exercise, stretching, and nutrition strategies can help prevent and correct what can be called muscle tightness. Proper posture, choice of exercises, and stretches will prevent tightness due to decreased range of motion. Proper exercise intensity, as well as pre, during, and post-exercise hydration and nutrition can help prevent muscle cramps. Appropriate exercise progression and static stretches after exercise will help prevent DOMS and maintain range of motion, respectively. 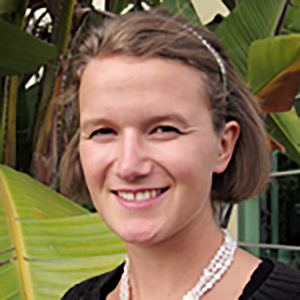 Viktoria Brautigam, B.S., is a personal trainer and a graduate student in the Exercise and Nutritional Sciences Department at San Diego State University. 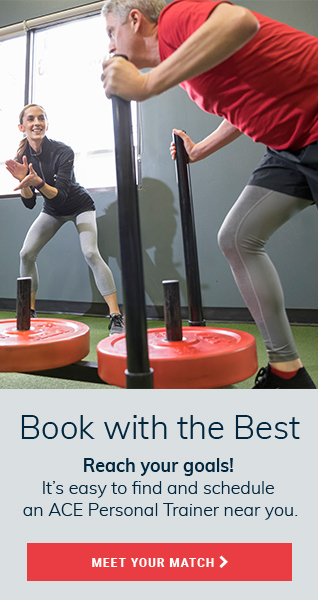 Brautigam is an ACE-certified Personal Trainer and holds additional certifications and credentials from the National Strength and Conditioning Association, USA Track and Field, and the National Academy of Sports Medicine.